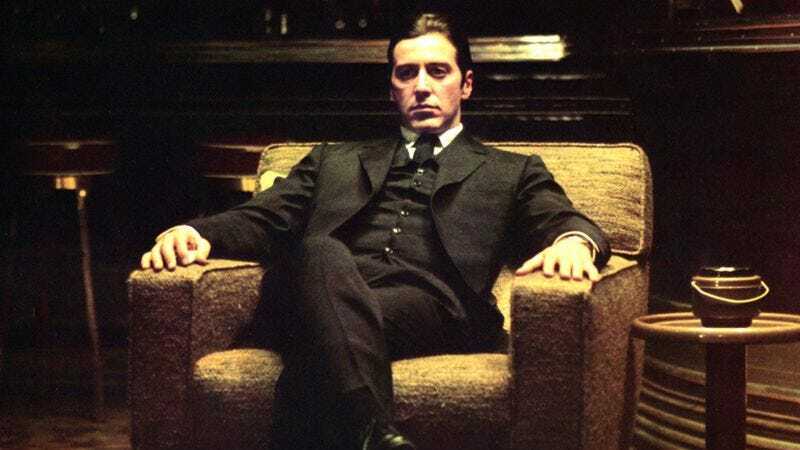 New York’s Tribeca Film Festival has just announced its special closing night celebration, and it should be a pretty big one: According to a press release, the festival will be holding a Godfather and Godfather Part II screening in honor of the 45th anniversary of the first film’s release, and a whole bunch of famous people from the Godfather movies will be in attendance for a cast reunion. The actors involved are Al Pacino, James Caan, Robert Duvall, Diane Keaton, Talia Shire, and Robert De Niro—who co-founded the festival, so he was probably an easy get—and they’ll be taking part in a “conversation” with director Francis Ford Coppola. The Godfather screenings will close out the festival on April 29. In addition to that, Tribeca will also be holding a few other anniversary retrospectives, with a special sing-along version of Aladdin (celebrating its 25th anniversary), a screening of Reservoir Dogs and a conversation with Quentin Tarantino and some members of the cast (also for its 25th anniversary), and a Bowling For Columbine screening with Michael Moore (for its 15th anniversary). The Tribeca Film Festival will be held from April 19-30, and you can find more information at this link.